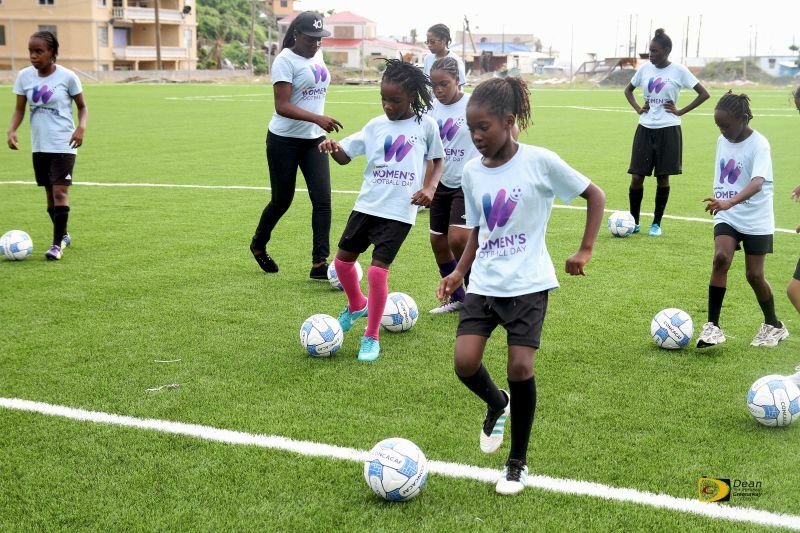 EAST END, Tortola, VI – The BVI Football Association (BVIFA) staged a remarkable CONCACAF Women’s Day Celebration on Saturday November 18, 2017 on the new Pitch at Long Look/East End, on the main island of Tortola. The event was remarkable because not only did it come on the back of the devastating storms that smashed their way through the territory two months ago, but also despite the mass exodus of residents, including school aged girls, the numbers that turned out and braved the rains were well into the high 30’s. Mr Dean H. Greenaway aka The Sportsman, on behalf of the acting Director, Mrs Brenda Lettsome-Tye, noted it was a historic day, as it was the first time the women’s event had used the new field. Greenaway also stated the enthusiasm was wonderful and the positive energy a great sign for the future. BVIFA President Mr Andy Bickerton addressed the girls with further words of encouragement. Bickerton also confirmed that the BVIFA was working with FIFA to quickly address the damage to the field and in a short time it would be back to fully functional. 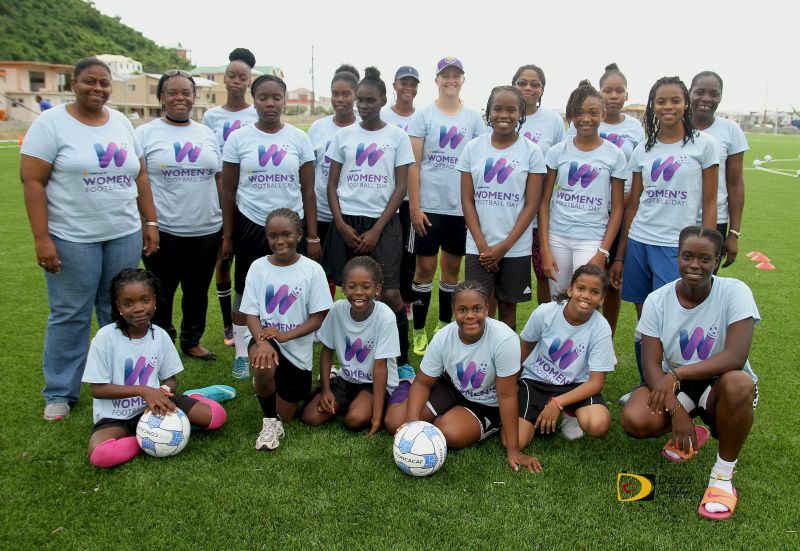 Jackisha Rigobert, the most recent U15 Girls Captain, encouraged all the girls to do their best and take the opportunity to show off their skills and to keep on going regardless of situations. not a bad idea how big are the balls?